I find it illuminating to read statistics "bibles" in various fields, which not only open my eyes to different domains, but also present the statistical approach and methods somewhat differently and considering unique domain-specific issues that cause "hmmmm" moments. 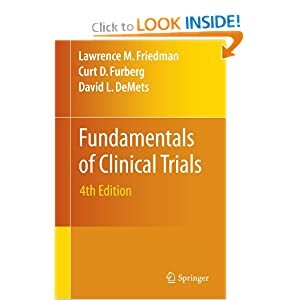 Knowledge of the sample design by the participants and/or the physicians also affects how randomization is carried out. It becomes a game between the designers and the participants and staff, where the two sides have opposing interests: to blur vs. to uncover the group assignments before they are made. This gaming requires devising special randomization methods (which, in turn, require data analysis that takes the randomization mechanism into account). For example, to assure an equal number of participants in each of the two groups, given that participants enter sequentially, "block randomization" can be used. For instance, to assign 4 people to one of two groups A or B, consider all the possible arrangements AABB, AABA, etc., then choose one sequence at random, and assign participants accordingly. The catch is that if the staff have knowledge that the block size is 4 and know the first three allocations, they automatically know the fourth allocation and can introduce bias by using this knowledge to select every fourth participant. While debates over privacy issues related to electronic health records are still ongoing, predictive analytics are beginning to being used with administrative health data (available to health insurance companies, aka, "health provider networks"). One such venue are large data mining contests. Let me describe a few and then get to my point about their contribution to pubic health, medicine and to data mining research. The latest and grandest is the ongoing $3 million prize contest by Hereitage Provider Network, which opened in 2010 and lasts 2 years. The contest's stated goal is to create "an algorithm that predicts how many days a patient will spend in a hospital in the next year". Participants get a dataset of de-identified medical records of 100,000 individuals, on which they can train their algorithms. The article in KDNuggets.com suggests that this competition's goal is "to spur development of new approaches in the analysis of health data and create new predictive algorithms." "analyzing the medical, demographic, and behavioral data of 50,788 individuals, some of whom had diabetes. The task was to determine the economic benefit of reducing the Body Mass Indices (BMIs) of a selected number of individuals by 10% and to determine the cost savings that would accrue to the Federal Government's Medicare and Medicaid programs, as well as to the economy as a whole"
assessment of the severity/risk of death of a patient's condition. What about presentations/reports from the winners? I had a hard time finding any (here is a deck of slides by a group competing in the 2011 SAS Shootout, also health-related). But photos holding awards and checks abound. If these health-related data mining competitions are to promote research and solutions in these fields, the contest webpages with problem description, data, as well as presentations/reports by the winners should continue to be publicly available (as for the annual KDD Cup competitions by the ACM). Posting only names and photos of the winners makes data mining competitions look more like a consulting job where the data provider is interested in solving one particular problem for its own (financial or other) benefit. There is definitely scope for a data mining group/organization to collect all this info while it is live and post it in one central website. Multiple testing (or multiple comparisons) arises when multiple hypotheses are tested using the same dataset via statistical inference. If each test has false alert level α, then the combined false alert rate of testing k hypotheses (also called the "overall type I error rate") can be as large as 1-(1-α)^k (exponential in the number of hypotheses k). This is a serious problem and ignoring it can lead to false discoveries. See an earlier post with links to examples. There are various proposed corrections for multiple testing, the most basic principle being reducing the individual α's. However, the various corrections suffer in this way or the other from reducing statistical power (the probability of detecting a real effect). One important approach is to limit the number of hypotheses to be tested. All this is not new to statisticians and also to some circles of researchers in other areas (a 2008 technical report by the US department of education nicely summarizes the issue and proposes solutions for education research). The multiple testing challenge has become especially prominent in analyzing micro-array genomic data, where datasets have measurements on many genes (k) for a few people (n). In this new area, inference is used more in an exploratory fashion, rather than confirmatory. 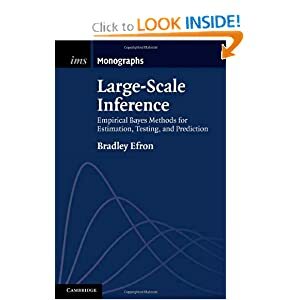 The literature on "large-k-small-n" problems has also grown considerably since, including a recent book Large-Scale Inference by Bradley Efron. And now I get to my (hopefully novel) point: empirical research in the social sciences is now moving to the era of "large n and same old k" datasets. This is what I call "large samples". With large datasets becoming more easily available, researchers test few hypotheses using tens and hundreds of thousands of observations (such as lots of online auctions on eBay or many books on Amazon). Yet, the focus has remained on confirmatory inference, where a set of hypotheses that are derived from a theoretical model are tested using data. What happens to multiple testing issues in this environment? My claim is that they are gone! Decrease α to your liking, and you will still have more statistical power than you can handle. But wait, it's not so simple: With very large samples, the p-value challenge kicks in, such that we cannot use statistical significance to infer practically significant effects. Even if we decrease α to a tiny number, we'll still likely get lots of statistically-significant-but-practically-meaningless results. The bottom line is that with large samples (large-n-same-old-k), the approach to analyzing data is totally different: no need to worry about multiple testing, which is so crucial in small samples. This is only one among many other differences between small-sample and large-sample data analysis. In a recent interview on "Data Analytics", Prof Ram Gopal asked me a similar question. I have a slightly different view of the difference: the term "forecasting" is used when it is a time series and we are predicting the series into the future. Hence "business forecasts" and "weather forecasts". In contrast, "prediction" is the act of predicting in a cross-sectional setting, where the data are a snapshot in time (say, a one-time sample from a customer database). Here you use information on a sample of records to predict the value of other records (which can be a value that will be observed in the future). That's my personal distinction. While forecasting has traditionally focused on providing "overall aggregate estimates", that has long changed, and methods of forecasting are commonly used to provide individual estimates. Think again of weather forecasts -- you can get forecasts for very specific areas. Moreover, daily (and even minute-by-minute) weather forecasts are generated for many different geographical areas. Another example is SKU-level forecasting for inventory management purposes. Stores and large companies often use forecasting to predict every product they carry. These are not aggregate values, but individual-product forecasts. "Old fashioned" forecasting has indeed been around for a long time, and has been taught in statistics and operations research programs and courses. While some forecasting models require a lot of statistical expertise (such as ARIMA, GARCH and other acronyms), there is a terrific and powerful set of data-driven, computationally fast, automated methods that can be used for forecasting even at the individual product/service level. Forecasting, in my eyes, is definitely part of predictive analytics. I've been using "clickers" since 2002 in all my courses. Clickers are polling devices that students use during class to answer multiple-choice questions that I include in my slides. They encourage students to participate (even the shy ones), they give the teacher immediate feedback about students' knowledge, and are a great ice-breaker for generating interesting discussions. Of course, clickers are also fun. Most students love this active learning technology (statistically speaking, around 90% love it and 10% don't). A few years later came the slick credit-card-size radio-frequency (RF) clickers that did not require line-of-sight. My receiver shrunk to the size of an obese USB stick. I still love clickers, but am finding their price (hardware and software) unreasonable for education purposes. The high prices ($40/clicker in the USA) are also applicable in India, as I've discovered (a quote of over $4,000 for a set of 75 clickers and a receiver raised my eyebrows to my hairline). In addition, now that everyone carries around this gadget called a mobile phone, why burden my students with yet-more-hardware? This brought me to research using mobiles for polling. 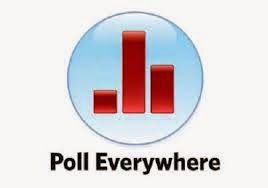 I discovered www.polleverywhere.com, which offers a facility for creating polls via their website, then embedding the polls into slides (Power Point etc.). Students can respond with their mobile phones by sending an SMS, tweeting, or using the Internet. I am especially interested in the mobile option, to avoid needing wireless Internet connection, smartphones, or laptops in class. So, how does this work in India? The bad news: While in the USA and Canada the SMS option is cheap (local number), polleverywhere.com does not have a local number for India (you must text an Australian number). The good news: Twitter! Students with Bharti Airtel plans can tweet to respond to a poll (that is, send an SMS to a local number in India). I just tested this from Bhutan, and tweeting works beautifully. The even-better news: Those using other Indian carriers can still tweet using the cool workaround provided by www.smstweet.in. This allows tweeting to a number in Bangalore. The cost? A fraction to the university (around $700/year for 200 students using the system in parallel) and only local SMS cost to the students. How well will this system work in practice? I am planning to try it out in my upcoming course Business Intelligence Using Data Mining @ ISB, and will post about my experience. Data mining is taught very differently at engineering schools and at business schools. At engineering schools, data mining is taught more technically, deciphering how different algorithms work. In business schools the focus is on how to use algorithms in a business context. Business students with a computer science background can now enjoy both worlds: take a data mining course with a business focus, and supplement it with the free course materials from Stanford Engineering school's Machine Learning course (including videos of lectures and handouts by Prof Andrew Ng). There are a bunch of other courses with free materials as part of the Stanford Engineering Everywhere program. Similarly, computer science students with a business background can take advantage of MIT's Sloan School of Management Open Courseware program, and in particular their Data Mining course (last offered in 2003 by Prof Nitin Patel). Unfortunately, there are no lecture videos, but you do have access to handouts. And for instructors in either world, these are great resources! 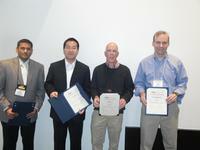 Yesterday I happened to hear talks by two excellent speakers, both on major data mining applications in industry. One common theme was that both speakers gave compelling and easy to grasp examples of what data mining algorithms and statistics can do beyond human intelligence, and how the two relate. Data analytics methods are designed not only to give an answer, but also to evaluate how confident they are about the answer. 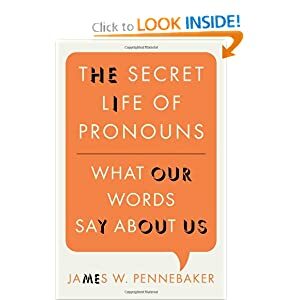 In answering the jeopardy questions, the data mining approach tells you not only what is the most likely answer, but also how confident you are about that answer. Building trust in an analytics tool occurs when you see it make mistakes and learn from those mistakes. The second talk, "The Art and Science of Matching Items to Users" was given by Deepak Agarwal , a Yahoo! 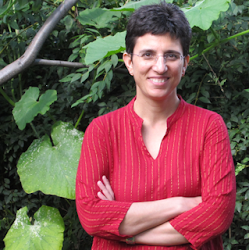 principle research scientist and fellow statistician, was webcasted at ISB's seminar series. You can still catch it on Aug 10 at Yahoo! 's Big Thinker Series in Bangalore. The talk was about recommender systems and their use within Yahoo!. Among various approaches used by Yahoo! to improve recommendations, Deepak described a main idea for improving the customization of news item displays on news.yahoo.com. On the relation between human intelligence and automation, the process of choosing which items to display on Yahoo! is a two-step process, where first human editors create a pool of potential interesting news items, and then automated machine-learning algorithms choose which individual items to display from that pool. Like Christer Johnson's point #2, Deepak illustrated the difference between "the answer" (what we statisticians call a point estimate) and "the potential of it being good" (what we call the confidence in the estimate, AKA variability) in a very cool way: Consider two news items of which one will be displayed to a user. The first item was already shown to 100 users and 2 users clicked on links from that page. The second was shown to 10,000 users and 250 users clicked on links. Which news item should you show to maximize clicks? (yes, this is about ad revenues...) Although the first item has a lower click-through-rate (2%), it is also less certain, in the sense that it is based on less data than item 2. Hence, it is potentially good. He then took this one step further: Combine the two! "Exploit what is known to be good, explore what is potentially good". So what do we have here? Very practical and clear examples of why we care about variance, the weakness of point estimates, and expanding the notion of diversification to combining certain good results with uncertain not-that-good results. 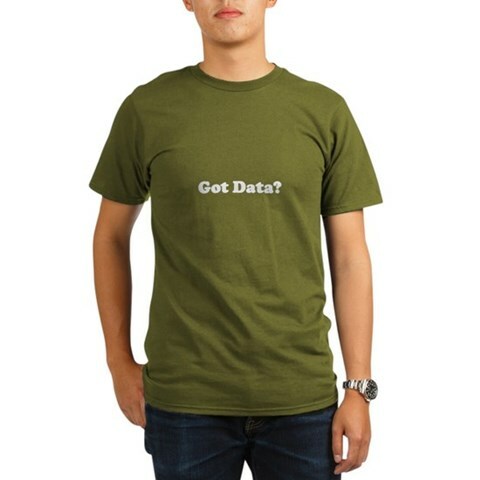 The American Statistical Association's store used to sell cool T-shirts with the old-time beggar-statistician question "Got Data?" Today it is much easier to find data, thanks to the Internet. Dozens of student teams taking my data mining course have been able to find data from various sources on the Internet for their team projects. Yet, I often receive queries from colleagues in search of data for their students' projects. This is especially true for short courses, where students don't have sufficient time to search and gather data (which is highly educational in itself!). The European Network for Business and Industrial Statistics (ENBIS) announced the 2011 Challenge (in collaboration with SAS JMP). The title is "Maximising Click Through Rates on Banner Adverts: Predictive Modeling in the On Line World". It's a bit complicated to find the full problem description and data on the ENBIS website (you'll find yourself clicking-through endless "more" buttons - hopefully these are not data collected for the challenge! ), so I linked them up. It's time for T-shirts saying "Got Data! Want Knowledge?" While huge datasets have become ubiquitos in fields such as genomics, large datasets are now also becoming to infiltrate research in the social sciences. Data from eCommerce sites, online dating sites, etc. are now collected as part of research in information systems, marketing and related fields. We can now find social science research papers with hundreds of thousands of observations and more. A common type of research question in such studies is about the relationship between two variables. For example, how does the final price of an online auction relate to the seller's feedback rating? A classic exploratory tool for examining such questions (before delving into formal data analysis) is the scatter plot. In small sample studies, scatter plots are used for exploring relationships and detecting outliers. With large samples, however, the scatter plot runs into a few problems. With lots of observations, there is likely to be too much overlap between markers on the scatter plot, even to the point of insufficient pixels to display all the points. Aggregation: display groups of observations in a certain area on the plot as a single marker. Size or color can denote the number of aggregated observations. Small-multiples: split the data into multiple scatter plots by breaking down the data into (meaningful) subsets. Breaking down the data by geographical location is one example. Make sure to use the same axis scales on all plots - this will be done automatically if your software allows "trellising". Sample: draw smaller random samples from the large dataset and plot them in multiple scatter plots (again, keep the axis scales identical on all plots). Finally, with large datasets it is useful to consider charts that are based on aggregation such as histograms and box plots. 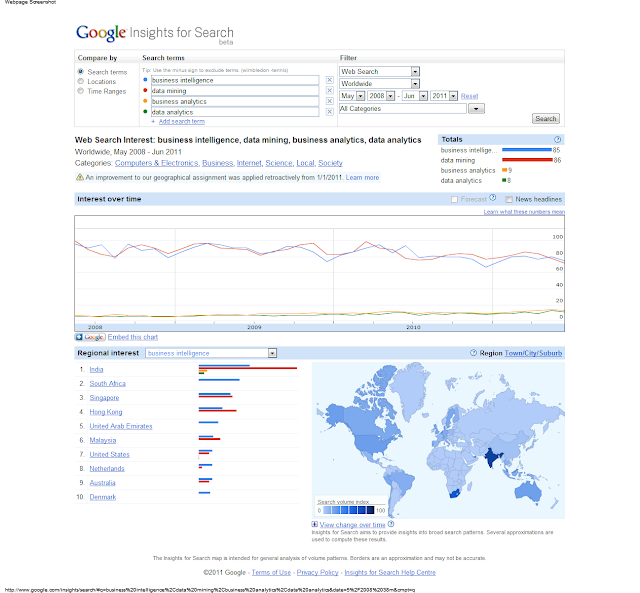 For more on visualization, see the Visualization chapter in Data Mining for Business Intelligence. 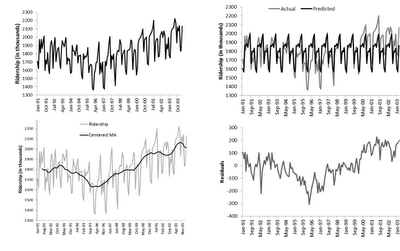 In my recent book Practical Time Series Forecasting: A Practical Guide, I included an example of using Microsoft Excel's moving average plot to suppress monthly seasonality. This is done by creating a line plot of the series over time and then Add Trendline > Moving Average (see my post about suppressing seasonality). The purpose of adding the moving average trendline to a time plot is to better see a trend in the data, by suppressing seasonality. A moving average with window width w means averaging across each set of w consecutive values. For visualizing a time series, we typically use a centered moving average with w = season. In a centered moving average, the value of the moving average at time t (MAt) is computed by centering the window around time t and averaging across the w values within the window. For example, if we have daily data and we suspect a day-of-week effect, we can suppress it by a centered moving average with w=7, and then plotting the MA line. An observant participant in my online course Forecasting discovered that Excel's moving average does not produce what we'd expect: Instead of averaging over a window that is centered around a time period of interest, it simply takes the average of the last w months (called a "trailing moving average"). While trailing moving averages are useful for forecasting, they are inferior for visualization, especially when the series has a trend. The reason is that the trailing moving average "lags behind". 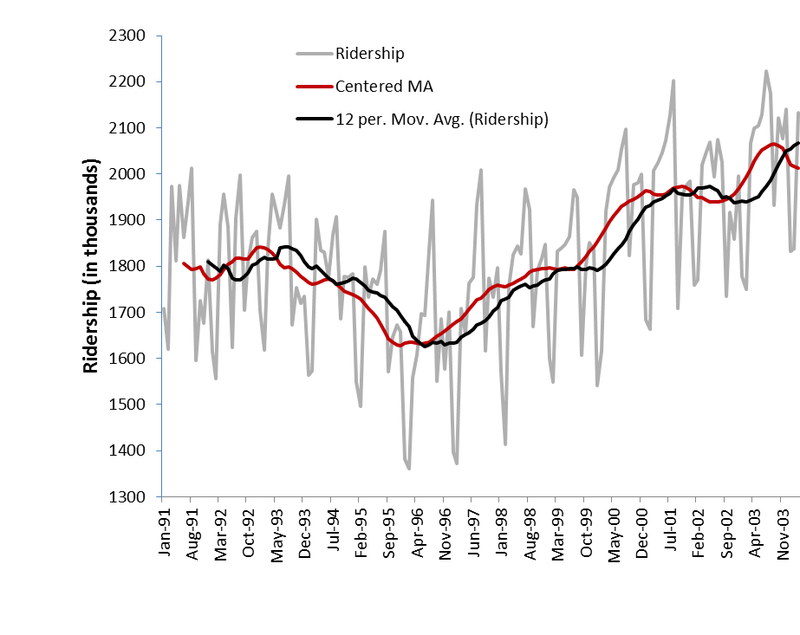 Look at the figure below, and you can see the difference between Excel's trailing moving average (black) and a centered moving average (red). "If Period is set to 2, for example, then the average of the first two data points is used as the first point in the moving average trendline. The average of the second and third data points is used as the second point in the trendline, and so on." is there a trend? if so, what type of function can approximate it? (linear, exponential, etc.) is the trend fixed throughout the period or does it change over time? is there seasonal behavior? if so, is seasonality additive or multiplicative? 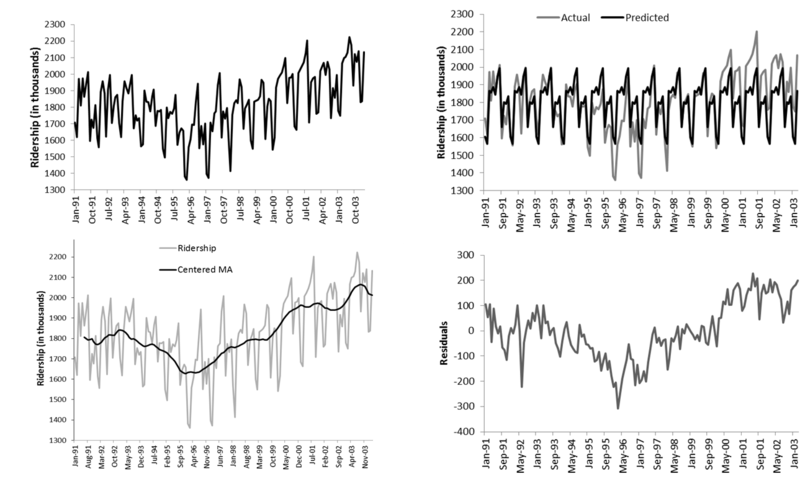 does seasonal behavior change over time? An example is shown in the Figure. The top left plot is the original series (showing monthly ridership on Amtrak trains). The bottom left panel shown a moving average line, suppressing seasonality and showing the trend. The top right panel shows a model that captures the seasonality. The lower left panel shows the residuals from the model, again enhancing the trend. 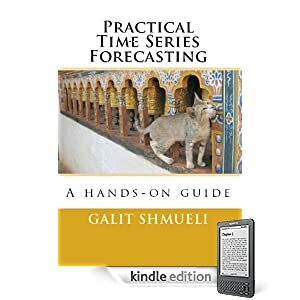 For further details and examples, see my recently published book Practical Time Series Forecasting: A Hands On Guide (available in soft-cover and as an eBook).